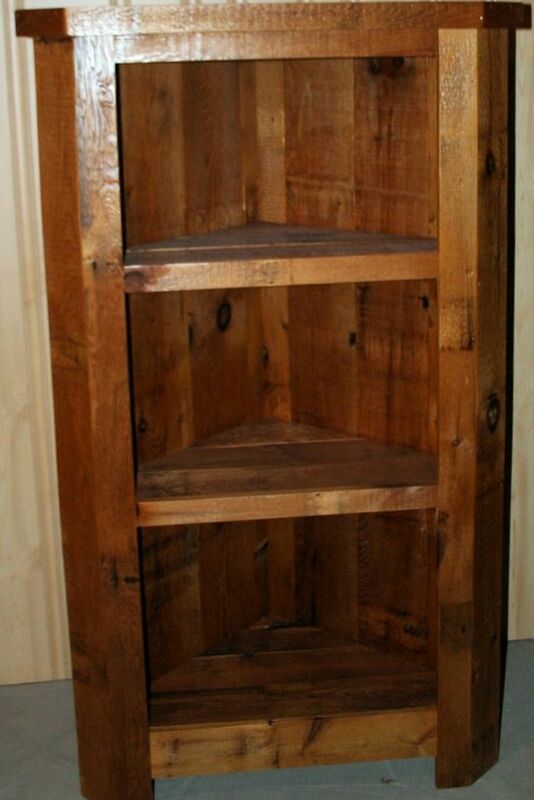 Barnwood Corner Shelf made from authentic antique barnwood. 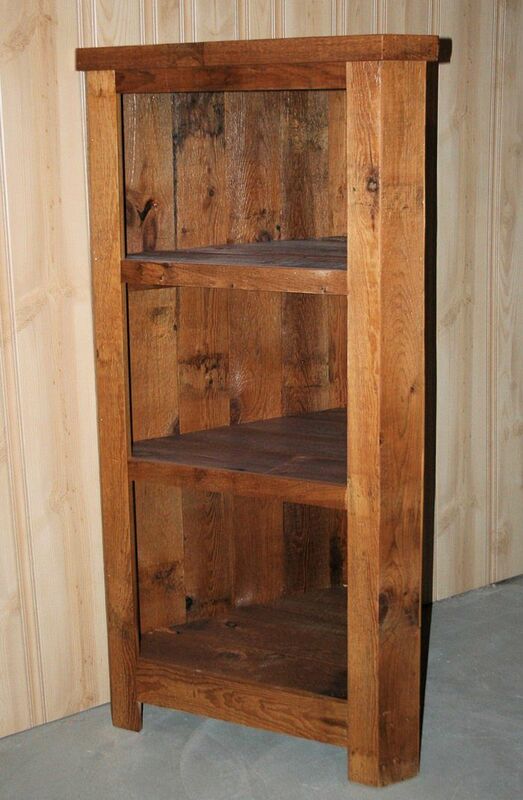 Features adjustable shelving for easy adjustments! Measures 31 inches wide x 15 inches deep x 60.5 inches high.